Mastic Siding is a leading vinyl siding manufacturer. All products from Mastic Home Exteriors are perfectly color coordinated and designed to work together. Add Ply Gem Stone and Ply Gem Trim to create the Designed Exterior. Whether you are remodeling your home or building a new home, you can eliminate painting your home forever. Use low maintenance materials from Mastic to give your home the look of natural wood siding and trim while using the most energy efficient windows and siding your can buy. If you live in the New Jersey area here is a good video showing Mastic Products and local contractors. If you live in the Minnesota area here is a good video explaining the different Mastic products. See more pictures of homes using Mastic Sidings click on picture above. Many different types and styles of homes. 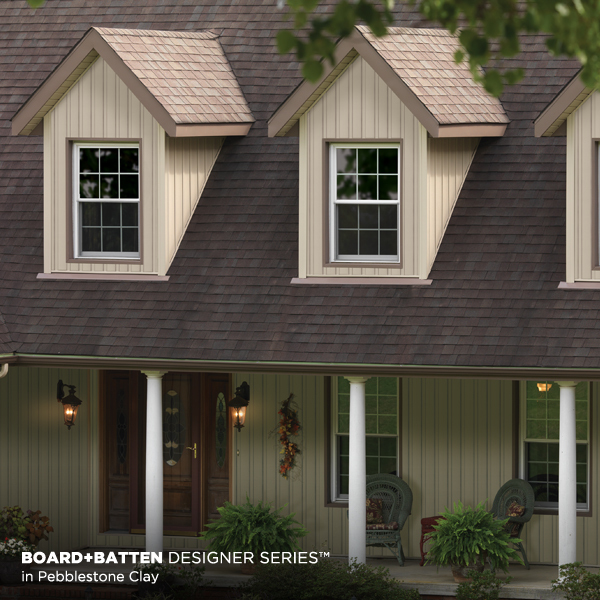 Board and batten type siding has been a favorite for hundreds of years. Now board and batten vinyl siding has recreated the time honored look at half the cost of wood siding. And you never have to paint again. And many more styles available in different colors, textures, thickness, insulated or non-insulated and price ranges. Something for every homeowner. Visit Mastic Vinyl Siding web page to see the complete line of siding products..click here. Remember that your contractor can buy most any vinyl siding that you like from his local wholesaler or distributor. Once you have picked out the thickness of the siding you are interested in, style and texture, write all this down so you and your contractor can go it. Your contractor may have suggestions and tips that can save you a lot of money. He does this type of work all the time and you want him to give you his knowledge. 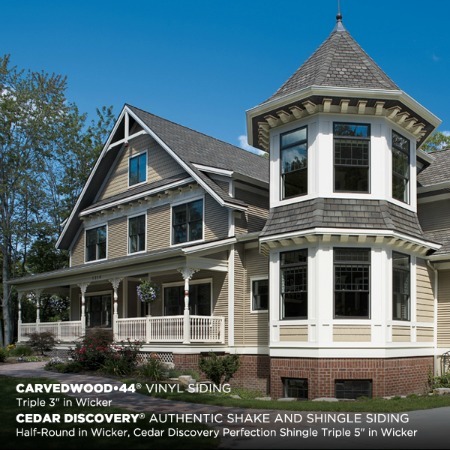 To see more 'profiles' of vinyl siding click here..